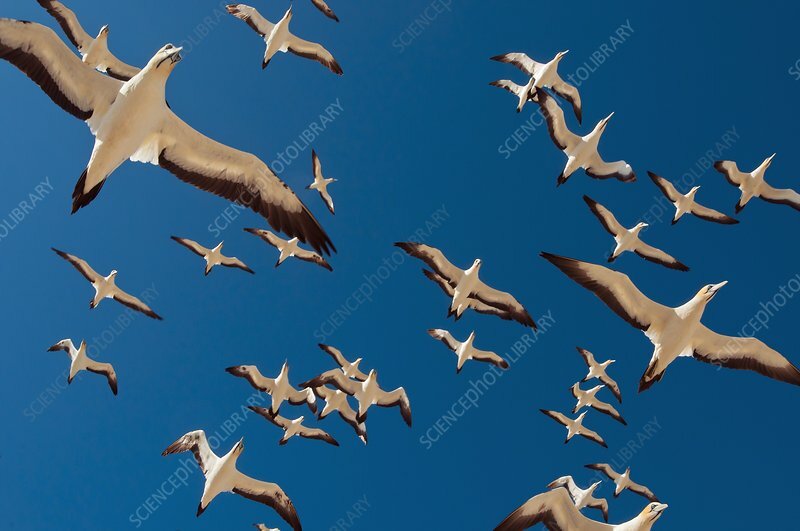 Cape gannets (Morus capensis) in flight. These seabirds nest in colonies on rocky cliffs and islands on the southern coasts of Africa. They feed on fish such as herring and mackerel by diving under the sea from heights of up to 30 metres. Photographed on Malgas Island, West Coast National Park, South Africa.